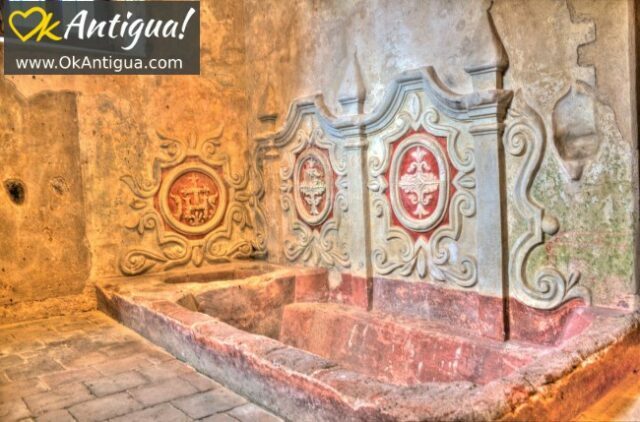 Are you visiting Antigua Guatemala and are bummed out you won’t be here for the world-famous Holy Week celebrations? No worries! The next best thing you can do to experience it is to stop by the “Museo de las Tradiciones de Semana Santa Sor Juana de Maldonado“! Which, by the way, I’ll refer to as the Holy Week Museum the rest of the article, or we’ll be here all day. 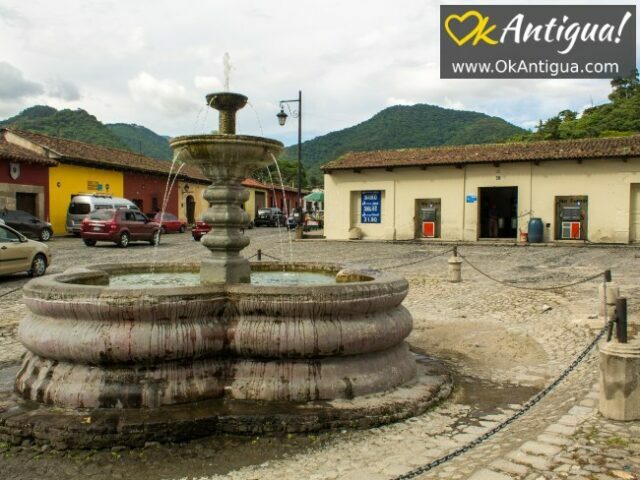 While heading to the museum, check out the nearby fountain, known as “Las Delicias” (“The Delights”). If you’re wondering about the fountain’s curious name, it might be helpful to know it was a popular meeting point for young couples looking for a little alone time. Though it may not look like it now, this neighborhood was on the outskirts of the city during colonial times and didn’t have a great reputation as a safe place to be in at night. A lot of legends and ghost stories sprang up about this place and other secluded spots, hoping to (unsuccessfully) keep local teenagers away from here. This barrio is also home to the annual “burning of the devil” tradition. Coincidence? As you head towards the alley to the right of the fountain, keep an eye out for the museum’s signage. The museum isn’t hard to find, though you wouldn’t know that it’s there unless you were actively looking for it. Even without the exhibits, the building housing the museum is interesting. 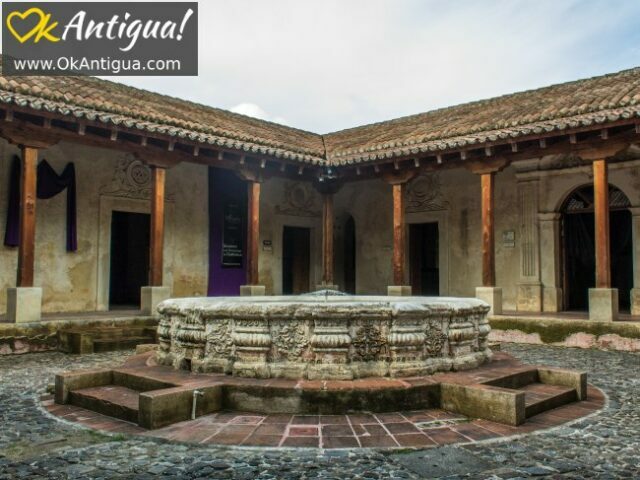 The museum is located inside a restored Spanish colonial-era residence that was once part of La Concepción Convent, which was the largest in the city. 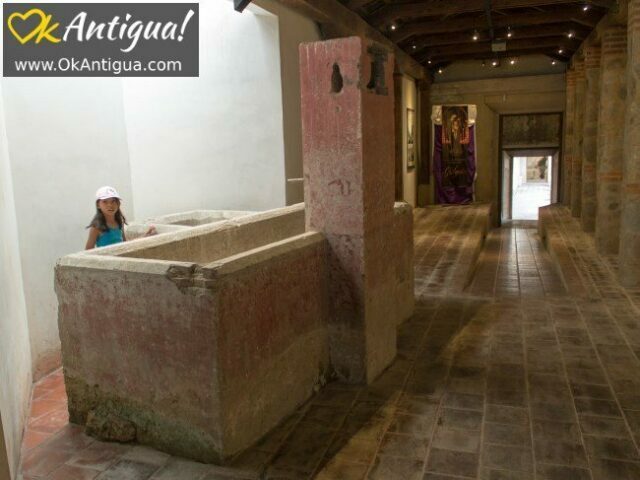 Like a typical Antigua residence, the museum has many rooms, most of which are laid out around a central courtyard. 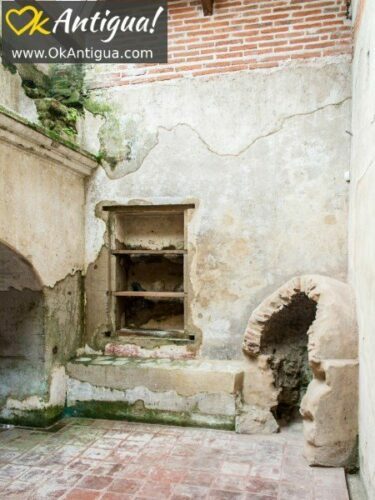 The small fountain at the center of the courtyard is thought to be original to the house. There’s also a beautifully ornate bathtub – now restored, with interesting plumbing that was used to supply hot water from outside the room. 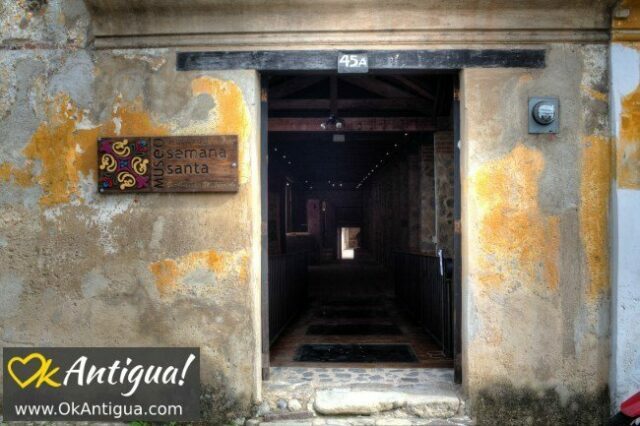 Characteristic of the better museums in Antigua, the signage throughout the Holy Week Museum is in Spanish and English. 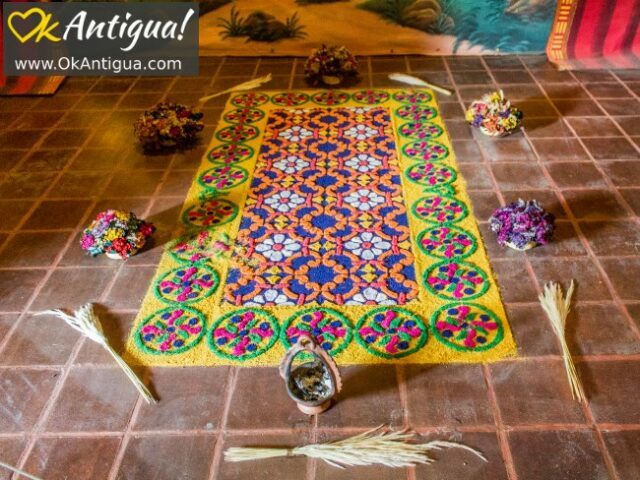 For visitors that have never seen Antigua’s famous Holy Week “alfombras” (sawdust carpets), the museum offers visitors the opportunity to check them out up close. The alfombras on display are not as big as the typical Lenten season alfombras, but their patterns are every bit as elaborate. There’s also a number of traditional garments on display that was previously worn by the procession participants. 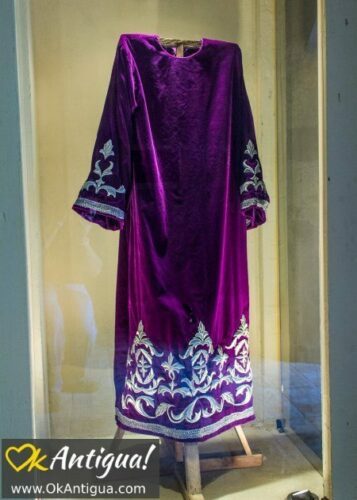 The elaborate costumes on display are special garments designed for each statue that was paraded in a procession (a special robe is sewn and donated every year by the faithful – the competition can be fierce). There’s also a video presentation running on loop showcasing some of Antigua’s biggest processions. 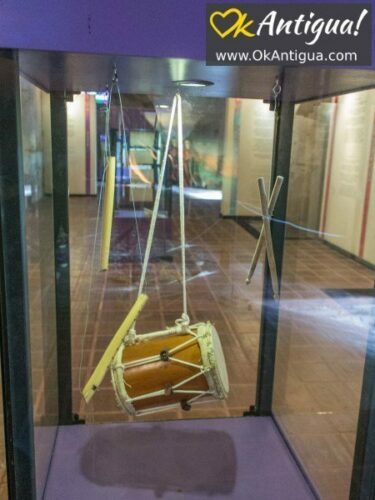 You’ll also have the opportunity to listen to Antigua’s traditional procession music, which sounds a lot like the funeral marches you may hear from New Orleans during the Lenten season. 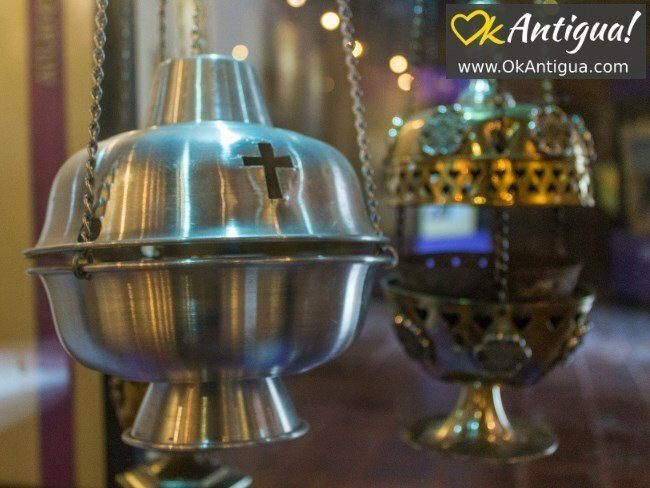 There’s also a number of liturgical instruments on display that are commonly at Lenten Season and Holy Week, such as incense burners. No discussion of the Holy Week Museum would be complete without mentioning its namesake and likely resident in colonial times, Sor Juana de Maldonado y Paz. 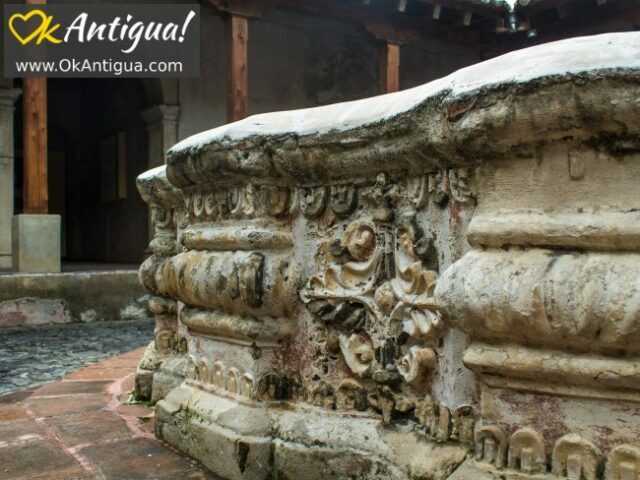 Sister Juana, also known as Juana de la Concepción, is one of the most colorful characters in Antigua’s colonial past. Tales of her life were so unbelievable that, until relatively recently, modern historians thought that Sor Juana was a fabrication of Thomas Gage, the somewhat unreliable travel writer, and globe-trotting English Dominican friar. Juana was an orphan who was adopted by a judge, don Juan de Maldonado y Paz, and his wife. From the start, Juana received special attention due to her beauty and intelligence. Being an only daughter, her parents took the unusual step of providing her the best education available – the sort of education that was usually reserved for boys. She soon developed a talent for poetry, singing, painting, and playing musical instruments. Sister Juana always seemed to be the hot topic of conversation in town – even at a young age. One of the city’s best painters, Francisco de Montufar, painted a religious portrait in which Juana was portrayed as St. Lucy, her father as St. John the Baptist, and her cousin as St. Stephen. The painting was subsequently moved to a church, venerated, and paraded around the city in processions. The religious community was in an uproar over the painting and it caused enough trouble that Juana’s father was brought in front of the Inquisition Tribunal to answer for the heresy. Eventually, Juana’s father was able to escape punishment. As options for limited for young women at the time, and to atone for religious anger over the painting, Juana decided to join La Concepción Convent. The added benefit was that it also allowed her time to pursue her artistic interests. Once at the convent, her father was influential enough that she was able to build her own home inside the convent. Her residence is thought to be the Holy Week Museum, though some argue that the actual residence was the Sor Juana Hotel next to the museum. At her private apartment – staffed with servants, Sister Juana was free to receive and entertain visitors – and many obliged. Sister Juana routinely hosted parties for important friends in the artistic community. It’s said that she had the best collection of musical instruments in the city at the time. One of the most frequent visitors was the city’s bishop, Juan de Zapata y Sandoval, rumored to be madly in love with Sister Juana. The Bishop was so enthralled with Sor Juana’s beauty and charming personality that when it was time to name a new abbess in charge of massive La Concepcion Convent, the bishop appointed a still very young Sister Juana. Once again, Sister Juana ended up in middle of the most heated controversy in the city at the time. Her appointment caused enough of an uproar that the incoming bishop annulled the election the same year and removed Sister Juana from the post to quiet the rumors of preferential treatment – or worse, an illicit affair between the bishop and the nun. Sister Juana’s legacy was her poetry, which is considered one of the best of the period. But as bright as her life was, she died young, which was attributed to a broken heart due to a failed relationship. She was about 40 years old at the time of her passing, though some accounts dispute that and claim she lived until the age of 68. 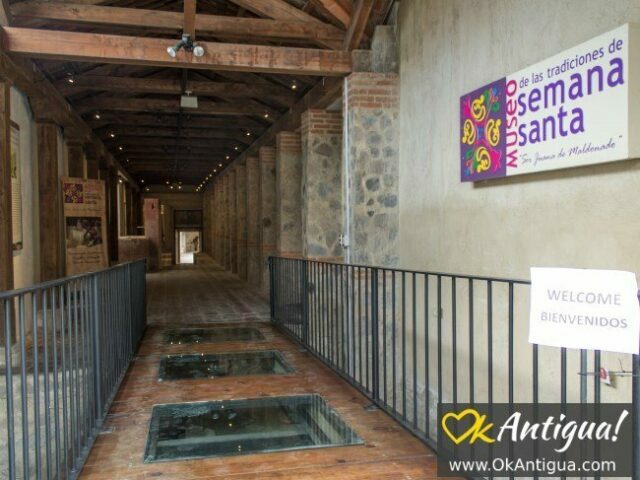 If in Antigua, even during Lenten and Holy Week season, check out the museum. 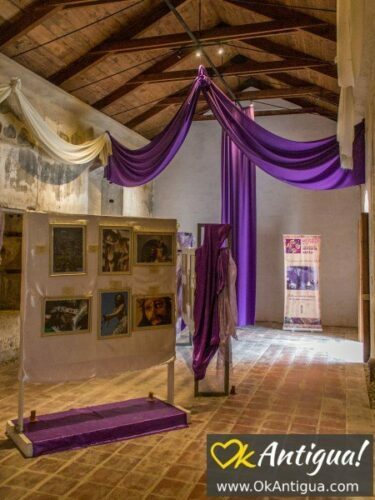 It hosts interesting workshops and exhibits throughout the year, including a well-attended alfombra-making workshop during the Lenten season. Have you visited the museum yet?